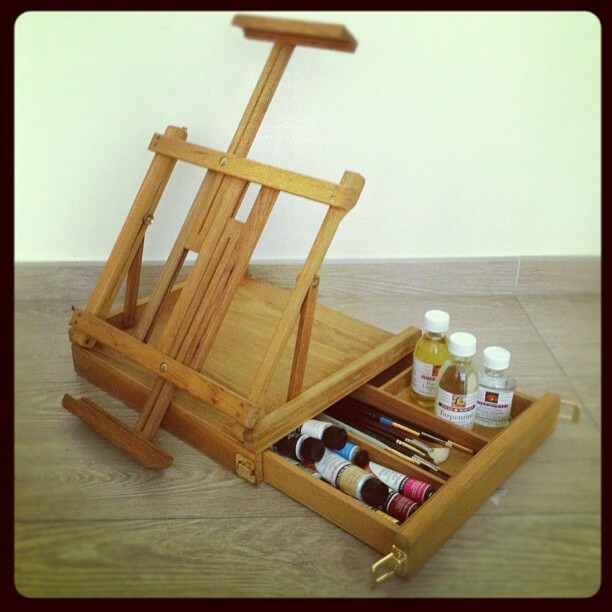 best birthday present ever: portable wooden box easel, a deletable variety of oil paints, my essential solvents & mediums, and the most beautiful array of brushes. my friends are amazing, i am so touched. 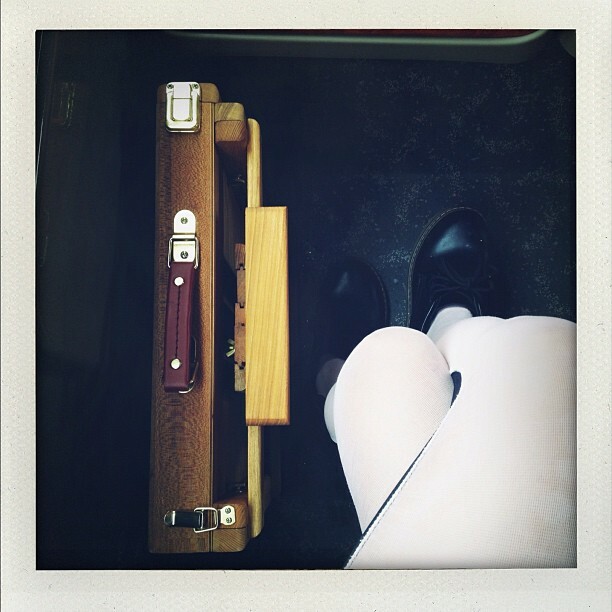 sup, nothin’ much, just me an’ my foldable easel, travellin’ on the bus. 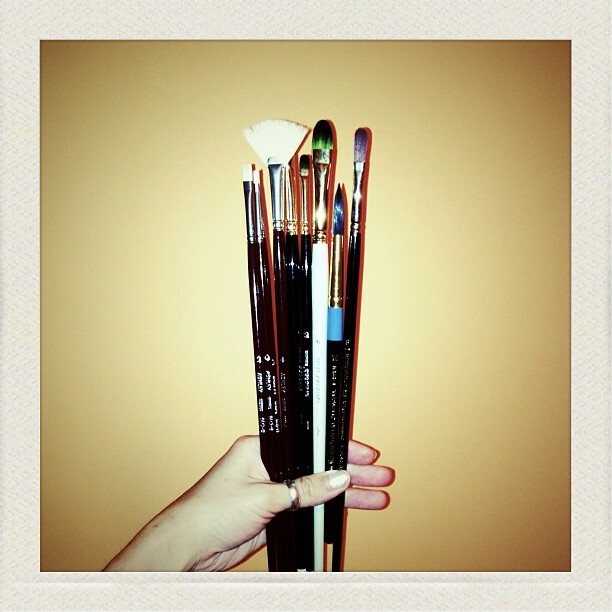 3 round brushes, 3 filberts, 1 flat, 1 fan and 1 angle brush.